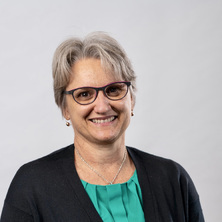 Dr Tracy Comans is a NHMRC Boosting Dementia Research Leadership Fellow in the Centre for Health Services Research, University of Queensland and an adjunct Research Fellow in Metro North Hospital and Health Service. Her research involves applying economic models to investigate the cost-effectiveness of health care interventions and leading and developing health services research focussing on older people, allied health and rehabilitation services. She has degrees in physiotherapy and economics (Hons) with a clinical background as a physiotherapist with special interests in aged care, dementia and rehabilitation. The efficiency of residential care facilities and impact of consumer directed care. How do allied health professionals evaluate new models of care? What are we measuring and why? Randomized trial of domiciliary versus center-based rehabilitation: Which is more effective in reducing falls and improving quality of life in older fallers? Domiciliary versus centre-based rehabilitation of older community dwellers: Protocol of randomized trial with economic evaluation. Walsh, J., Pegg, J., Yerkovich, S., Morris, N., Mckeough, Z., Comans, T., Paratz, J. and Chambers, D. (2015). Health Care Utilisation Benefits Following Pulmonary Rehabilitation. In: Respirology. , , (102-102). .